The decision on how to remember your wedding day should lead you to consider photo booths. Photo booths can help you take pictures that would not appear from a normal photographer. These booths will capture people’s playful side. People will get their pictures taken in a low stress situation which will lead to high quality photos. Your guests can decide when to use these booths, ensuring you can get photographs of everyone without having photographer down-time. Planning a Sydney photo booth hire for your wedding? 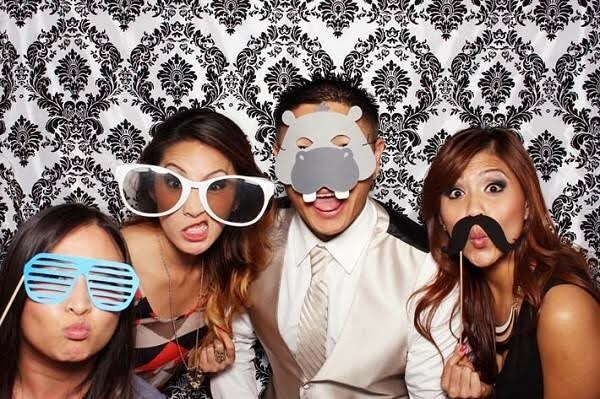 Here are a few photo booth companies to consider for your wedding entertainment. This company out of Sydney boasts a cheap rate for a wedding photo booth. Starting at $400, you will receive a photo booth that will help you create memories for years to come. There are many varieties of photo booths to choose from: open air, curtain and enclosed photo booths. You will find a suitable photo booth for any venue. The open air photo booth is the least expensive option. The curtain photo booth contains LED lighting which will make your photos stand out. The enclosed photo booth has a sleek black and white design which will fit any venue. If you are looking for the best experience you can get out of a photo booth, Sydney Photo-Booth will supply it. The wedding package starts at $775 for three hours. However, it comes with many extras. The booth will match your decor because it is available in a variety of colours. There are no worries about the amount of photos taken because you will get unlimited photo strips. The rental includes props which you can choose to use in your pictures. Once your day is over you will receive access to a private online gallery as well as a USB stick with all pictures. The set-up and collection are included for the Sydney metro area. PhotoBoothME has a variety of photo booths that are available. They have traditional photo booths but they also have booths that include custom backgrounds, booths that can create flip books from video and private booths that fit up to 9 people. When it is capable of fitting that many people, you could even invite your wedding singer into a few photos. Their company focuses on quality and prides themselves on renting photo booths that contain SLR cameras. In case of technical problems PhotoBoothME travels with spare parts and technicians are available. Share booth offers an economical open air photo booth. Even though it is reasonably priced, it does not lack features. It includes an Instagram photo printing station. You will also get a USB of all the images taken during your wedding. They also offer a unique GIF booth. This will create moving pictures for you. There are many photo booth vendors to choose from no matter what your needs. There is sure to be a photo booth rental that can fit both your budget and your preferred features. Another thing to consider while planning your wedding entertainment is a Sydney wedding band. The options are overwhelming when you consider songs for weddings. Hiring a wedding singer or band will help. Our wedding band and singers at Lily Road will help you handle your big day. No matter which music you envision for your wedding, we will help you to create a day to remember. We are capable of playing music from a variety of genres and decades. The experience we provide has been well-received in the form of customer reviews on easy weddings.